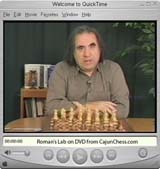 Hosted by Grandmaster Roman Dzindzichashvili, these videos are guaranteed to improve your Chess by giving you a private lesson from one of the world's foremost chess teachers. 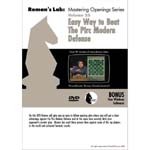 In Volume #25, Roman will give you an easy to follow opening plan where you will get a clear advantage against Pirc Modern defense and at the same time severely limit your opponents counter play. Roman uses a timely a4 and h3 line to achieve fantastic results at the highest level. ARE YOU NEW TO ROMAN'S LAB?